This bottle is perfect for staying hydrated as it holds your daily requirement of water. Great for use when you are doing a cleanse or are on a supplement regimen that requires close monitoring of your water intake. 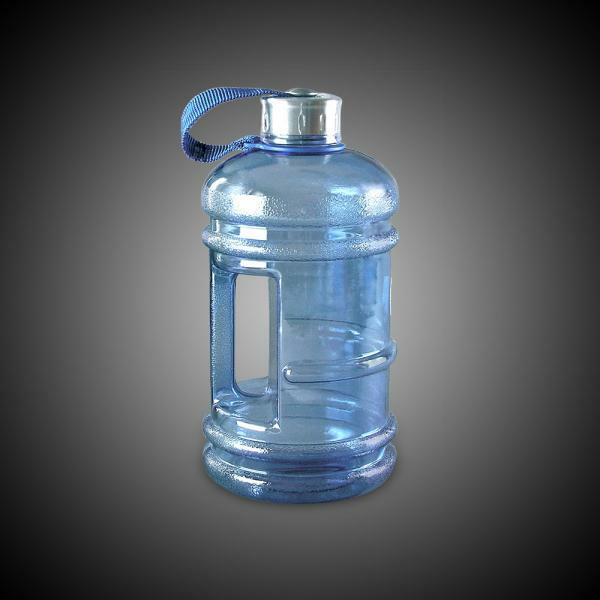 The handle makes this bottle easy to take along on long hikes, camping trips, to the gym or for a day at the beach. The strong nylon strap and durable stainless steel cap attach to the bottle… no more lost caps! Very sturdy and good quality. Strong lid and handle.